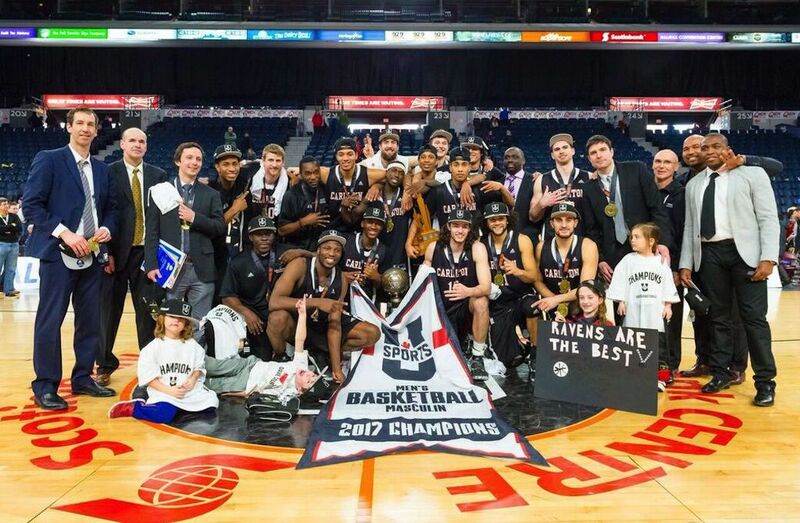 HALIFAX (U SPORTS) – The Carleton Ravens made it seven in a row Sunday afternoon in Halifax, defeating the Ryerson Rams 78-69 to claim the gold medal at the 2017 ArcelorMittal Dofasco U SPORTS Men’s Final 8. The win served as redemption for Carleton, who lost to the Rams a few weeks earlier in the OUA Championship game. The Ravens never trailed in the contest, utilizing their signature defensive style and aggressive play on the glass to claim the win. Forward Ryan Ejim led the Ravens with 19 points and nine rebounds, while Carleton Player of the Game Kaza Kajami-Keane had a double-double (15 points, 11 rebounds). 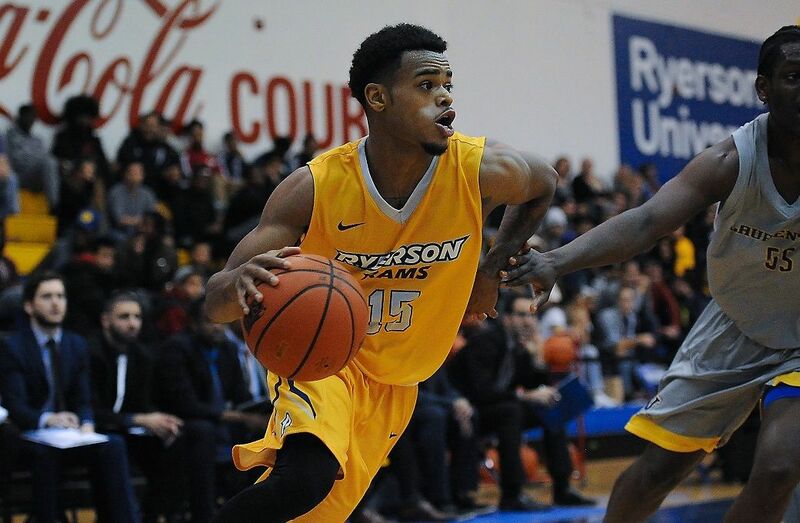 Ryerson guard Adika Peter-McNeilly led all scorers with 23 points in the loss. Head coach Dave Smart noted post play as a key factor – a different wrinkle in the Ravens’ traditional offensive look. In rather uncharacteristic fashion, the Ravens turned the ball over five times in the first quarter, but Ryerson was unable to capitalize, shooting just 27.8 per cent from the field. All 13 of the Rams’ points in the opening 10 minutes came from a combination of Peter-McNeilly and Roshane Roberts. The Ravens countered with strong inside play from Ejim and Kajami-Keane and entered the second quarter up 19-13. There were very few second-chance opportunities yet again in the second quarter, as both teams played strong on the defensive glass. Peter-McNeilly and Kajami-Keane went back-and-forth yet again, however it was the Ravens deep bench that flexed their muscles, contributing 11 points as Carleton led 39-28 at halftime. The Ravens would go on a 15-5 run in the opening five minutes of the third quarter, and led by as much as 24. Ejim continued to battle inside, and guard Emmanuel Owootoah went 2-for-2 from the perimeter during that stretch. Ryerson would battle back however, cutting the Ravens lead to as little as nine on the backs of guards Myles Charvis and Ammanuel Diressa, who had a combined 12 points in the quarter – including one trey apiece. The Rams picked up their defence in the fourth quarter, narrowing the score to 72-66 with under a minute and a half left. Forward Adam Voll was instrumental in the surge, working hard on the glass and adding six points. Carleton would get a few key turnovers down the stretch however, icing the game at the line. “I just don’t think we were as good offensively as we were last week,” Rams head coach Roy Rana said post-game.